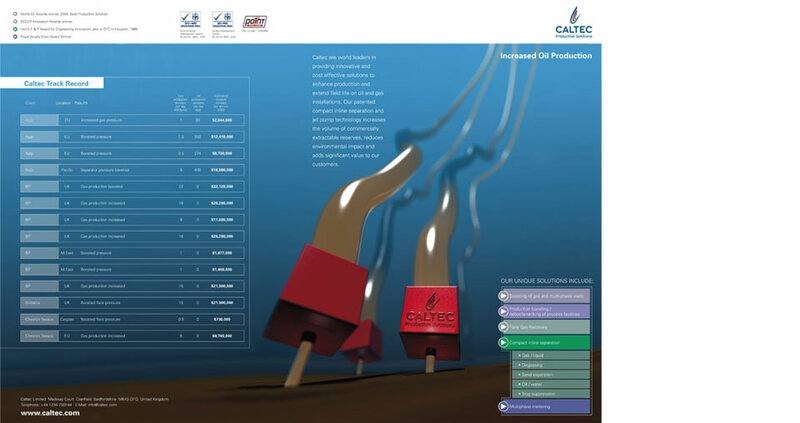 Caltec provides solutions for real operational problems in the Oil and Gas Industry. Their technology boosts the oil production and extend the life of old wells. 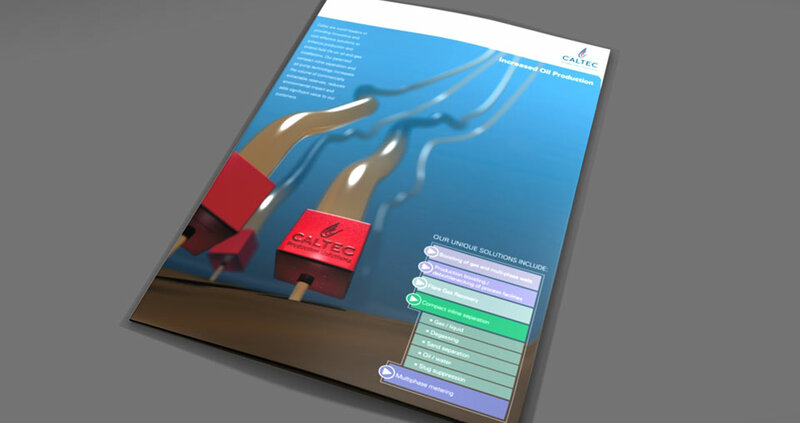 Previously their marketing materials used mostly technical images on their covers or splash pages. They realized the need for more clourful visual appearance in exhibitions that can later be rolled out to the web. A bespoke and flexible illustration was created for this purpose that would be used on covers and digital marketing material. The computer generated image visualizes their principle in colourful rather than technical way. 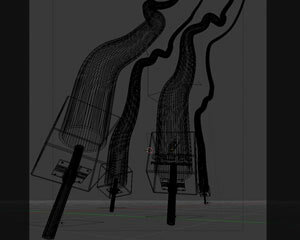 The illustration itself was based on a simple 3D model created specifically for this project. 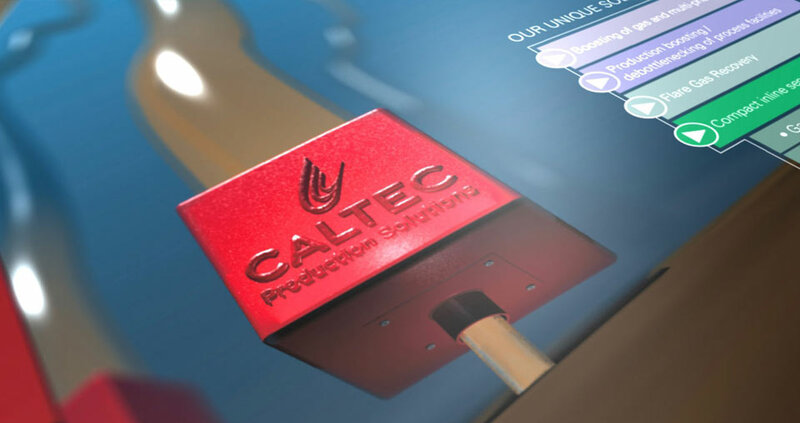 Given the opportunities of a 3D model, it could appear on the variety of marketing material, rendered from various angles. It was also animated to lead into multimedia/video presentations on exhibitions.